← TURKEY: Revolutionary Anarchist Action’s (DAF) Statement about the Soma miners. 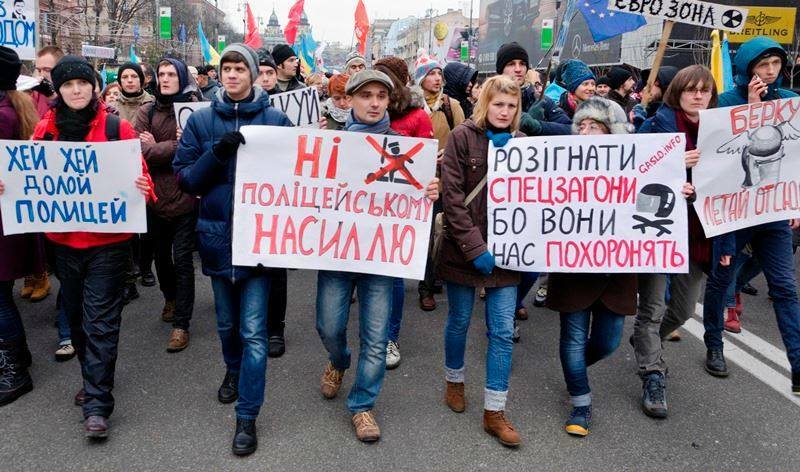 What follows is an attempt at the impossible: a critical review of the situation in Ukraine, the involvement of Putinʼs Russia, and the international Leftʼs capacity (or lack thereof) to respond to social uprisings without repeating prescribed narratives. It is written on one sole premise: that the victims of an eventual military escalation in Ukraine will predominantly be ethnic minorities such as the muslim Crimean Tatars, marginalized groups such as the Sinti and Roma, and the working class—while bureaucrats in Brussels and the Czar and his clan in Moscow will continue to further their respective interests. To highlight the likelihood of this prediction, a comparison will be made between events in Chechnya and Crimea. I will try to present a nuanced assessment of events based on historical and current facts—and no balanced account can deny the scope of Russian delusion. There is no need to hedge: Russia is a police state,¹ with no or very few civil liberties, far from being a democracy, and even further from being an anti-fascist entity. At greatest risk are the marginalized—our natural allies—and it is at their side that our efforts are needed. I will try to show that if we fail (or refuse) to engage in social protests out of ideological (in)difference, we lose not only our moral position, but also the disaffected masses to reactionary forces. 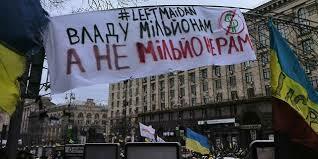 Already with the advent of the Maidan uprising, it was evident that an anti-fascist confrontation awaits us in Ukraine and in Russia.² Russiaʼs aggression in the Ukraine has complicated matters; without it we could have focused our efforts on the removal of oligarchy and neoliberal policies, as well as opposing all brown elements in Ukraine. Regardless: now is a crucial moment to unite our voices in opposition to fascism, neoliberalism and imperialism. 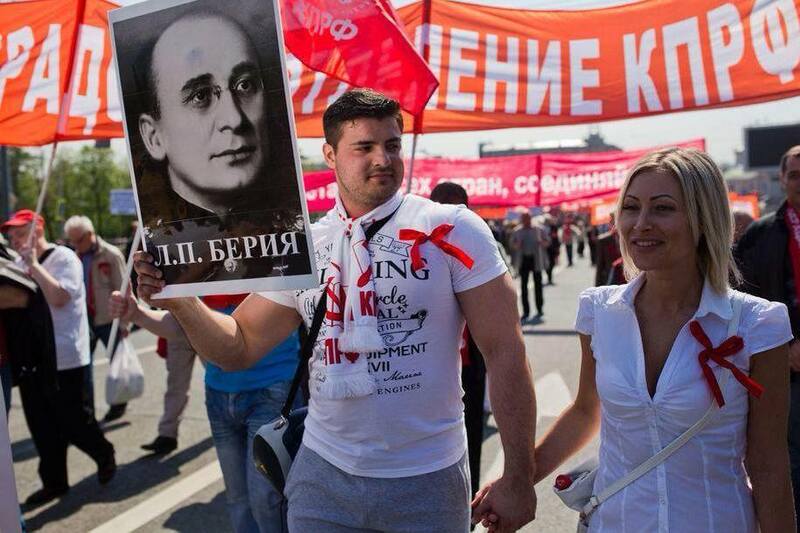 Russian Civilc Activists, 1st May 2014 Moscow. The activsts were arrested and sentenced with fines and 10 days in prison. I am not interested in repeating any of the pre-packaged narratives we already know so well; this article is written with the understanding that you as a reader, just like me, deserve to be treated as a mature, independent mind, capable of critical questioning, and not as a propaganda-swallowing zombie. One thing is clear: there is no Santa Claus, and there are no angels in politics…only self-interested assholes. Eventually, however—and I am convinced of this—facts speak louder than any propaganda machine. 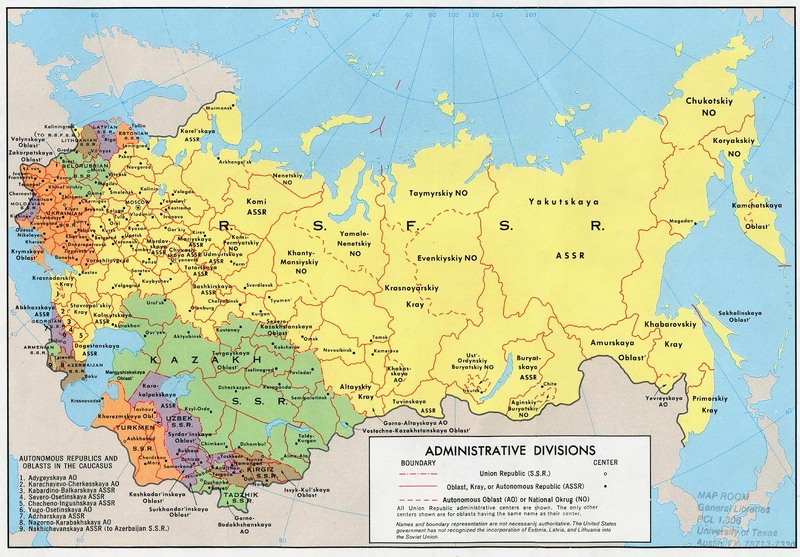 Russia and the Soviet Union have always been a patchwork of ethnic and national groups. Throughout modern history, every Russian leader has been fearful of disintegration and independence movements within the “motherland.” With the collapse of the Soviet Union, many saw these fears turning into reality. Russia lost significant parts of its former territory, and with it much of its national pride. I want to ask you: is it a coincidence that, after the humiliation and selling-out of the Soviet Union—a period led, in the eyes of many Russians, by an incompetent and shameful President⁴ —Russia experienced once again the call for and installment of a “Strong Man?” I doubt it. This seems to reflect the imperialist character of Russian nationalism and accommodates Putinʼs own political aspirations to recapture some of the lost “glory” of the past—and that includes regaining control over lost territories. A thorough historical background on Russia and Ukraine, on Chechnya and Crimea, and their detailed, interconnected relations would go well beyond the scope of this article. So would an explanation of the political landscape in post-Soviet and former Warsaw Pact states and how it differs in important ways from that of the “West” because of the lived experience of “real-existing socialism.” Let us simply bear in mind that, when discussing issues of international concern, terms with “left” or “right” orientation can be rather mercurial and highly dependent on context. There is an interesting split in perception, on the “Left,” when it comes to imperialism. It seems fair to say we all agree on the need to oppose US imperialism. However, as soon as the picture is complemented by a second state with imperial aspirations, many—especially Western—“leftists” equivocate, and seem willing to choose the perceived lesser of two evils. This dualistic approach has its roots in the Cold War; it is the useless remnant of a period when to be pro-Soviet might have implied being anti-capitalist. It was wrong then, it is wrong now, and it is time to get rid of it. The latest example of this difficulty in renouncing the false choice between evils has come with the crisis in Ukraine. Commentators around the world are drumming up evidence to support the hype that a new Cold War is at hand. Publicly, tensions between the US and Russia appear to be rising; however behind the curtain nothing is all that new. The US, the EU and NATO have always been trying to push their scope of influence eastwards; Russia has never been willing to cede political influence, control over pipelines, or access to resources in its former Soviet territories. More importantly, however, and refuting the vision of a new Cold War at our doorstep, is the fact that the US has been handing out “aid” to Russia since 1992, attached to conditions demanding deregulation imposed by the victory march of Bretton Woods (and later Troika) institutions. At any rate, the previously mentioned US vs. Russia narrative continues to fill the airwaves, and of course the US is not the only one making noise. From an anti-authoritarian standpoint, it is frustrating as well as saddening to see the Kremlin’s propaganda make its merry way around the world wide web. Indeed, Russian mainstream media has much in common with that of the US and EU—each points the finger at the “other side.” “Leftists” and anarchists should, however, be able to see through this game and reject both claims. The “West” does not have a monopoly on imperialism, and it is not by opposing only Western imperialism that we show our solidarity with ethnic minorities, marginalized groups, radical Left opposition or the working class—all of whom will be the main victims of continued aggression. In fact, to do so has dire human and political consequences; it enables the continued oppression and killing of ethnic minorities and weakens those few voices that do manage to get heard from within the opposition movements in Russia and Ukraine. Further, this reckless attitude results in a direct conflict among “leftists.” Many are unwilling to condemn Russian aggression for what it is, fearing this would imply support for their own imperialists, similar to those “leftists” that tried to defend first Qaddafi, later Assad, and now Putin.⁷ ⁸ Two wrongs don’t make a right. 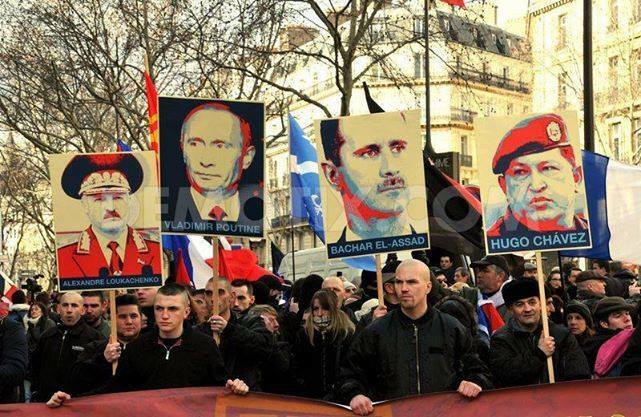 Manifestation of neo-fascist movement “La 3ème Voie” (Third Way) in Paris 2013 supporting a series of very dubious characters, Chavez is only there to confuse you. 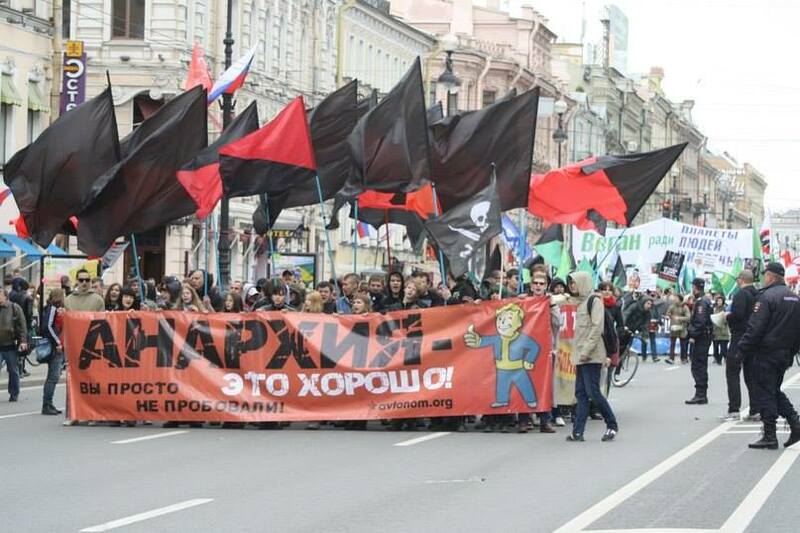 A glance at either, the recent May Day celebrations in Moscow—where Nazis marched unhindered, and Stalinists carried pictures of Lavrentiy Beria and signs calling Obama a monkey that wants to rule the world— or at the racially fuelled riots of October 2013 in Moscow, provide all the hints we need of the current xenophobic atmosphere in Russia. And now in Ukraine: fed up with widespread corruption, with inefficient institutions, with being exploited and living in hardship while the government of the few piles up its wealth abroad, people gathered in the square to demand change. Alliances, even unholy ones, were formed in the battle to fight off Yanukovychʼs Berkut and Russian agents at Maidan. The revolution has not managed to topple the oligarchs, and we may also have our problems with the political constellation of the protests. The Nazi symbolism at Maidan was appalling to many of us, and rightly so. Of course if you were to ask who profits from escalation in Ukraine, the answer is straightforward in geopolitical terms: imperial forces. That, however, should not imply that the popular uprising was not authentic or was “instrumentalized;” since that would mean completely discrediting the material reality that brought people to risk their lives on Maidan and not accepting the consequences of that lived reality. It is frustrating to have to write the following: Pravy Sektor did what we were not able to do. 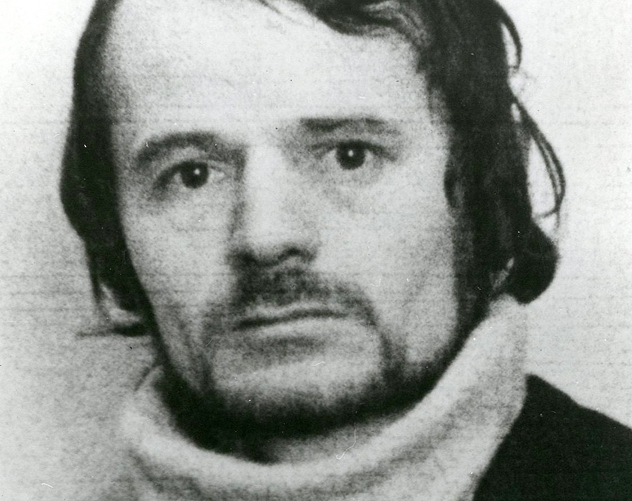 I donʼt intend to start an argument aboutPravy Sektor in particular; however, I would like to see us truly reflect on why the radical Left and anarchists are not in a similar position to communicate our critical views of the system and translate them into popular action—we would rather, it seems, spend our time either in trench warfare with each other or as spectators on the sidelines. That said, it bears repeating: a harsh anti-fascist confrontation awaits us—not only in Ukraine and Russia, but on the entire European continent. Turning away from people suffering under austerity, no matter who or where they are, will not improve our chances of emerging victorious from this coming conflict. We canʼt wait for the “perfect” revolutionary moment, and only get involved if the “revolutionary frame” appeals to us ideologically. On what moral grounds can we claim to be in support of the “people” when we ignore their struggles? We have to climb down off our white horse and truly reflect upon ideological dogmatism and puritanism when it comes to the simplest acts of solidarity: acknowledging a struggle, showing moral support, taking that extra step to meet the people where they are, and countering lies and propaganda with concrete action. 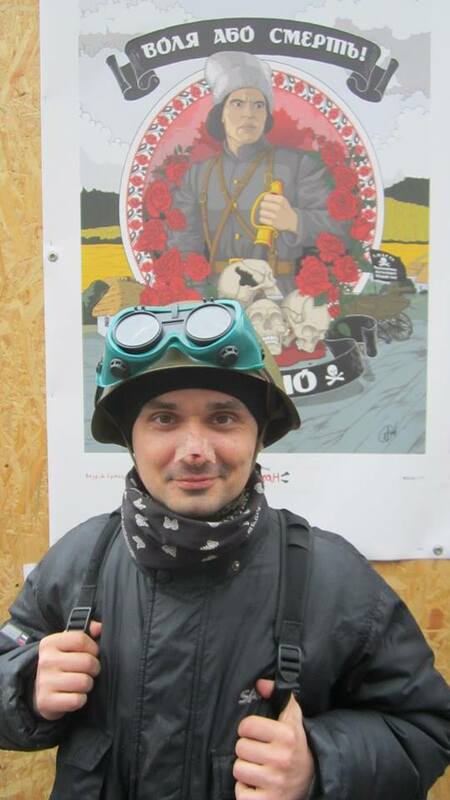 Sergey Kemskiy…Rest In Power! Never Forgotten! As much as we donʼt like the political outcome and the ascent of ultra-nationalists to some government positions in Ukraine, the fact remains that the so-called Euromaidan was nevertheless an uprising. It must be perceived as our mistake, our failure to communicate our own vision if, out of frustration over crony nepotism and corruption, the far Right succeeded (as in other countries) at folding great swathes of the working class into its ranks. 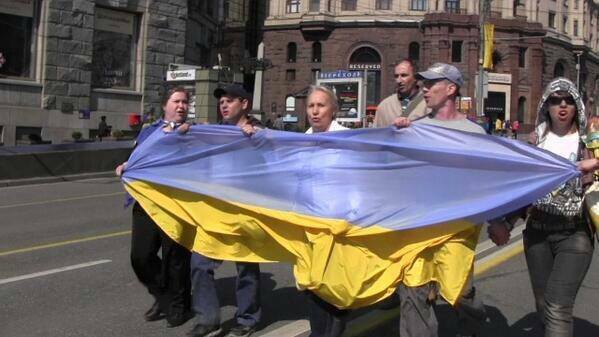 It is important to note that the rise of Svoboda preceded the events in Maidan. In the 2012 parliamentary elections it collected more than 10% of votes and found itself with 38 mandates in parliament. Anyway, not liking the character of an uprising can only be addressed by our own engagement—from afar, as allies with those forces we can support; on the ground, as comrades next to forces with whom we share certain critical values. 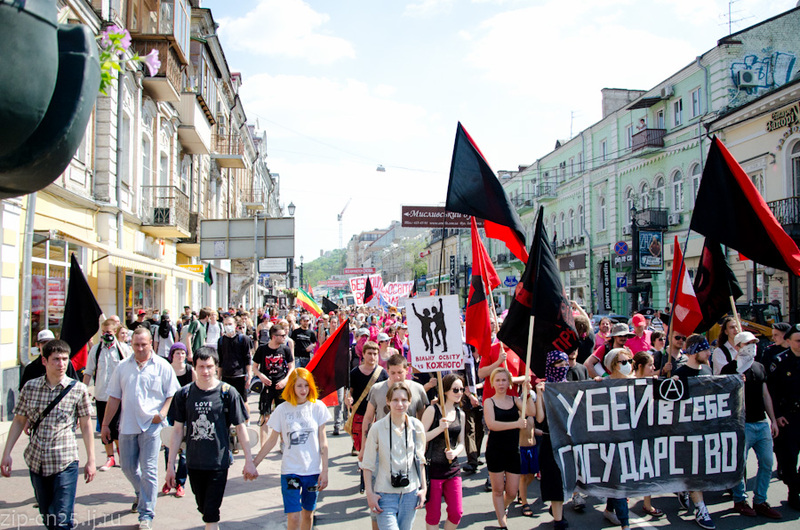 The antifascist movement, the Left and democratic opposition in Russia and in Ukraine, and ethnic minorities and marginalized groups would all seem to be good places for us to start giving meaning to the as-yet hollow refrain of “international solidarity.” Every social struggle has elements which the radical Left and anarchists can support. To a large degree it is simply a question of our willingness to research, inform ourselves and, above all, listen to those elements. To call somebody black in reference to their skin color might be a politically acceptable term in the US. 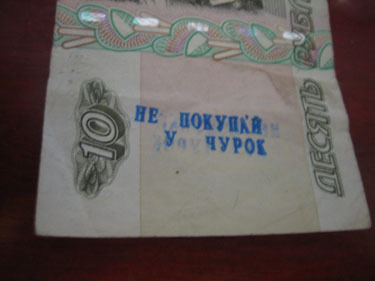 In Russia however, “black” (in Russian: чурок, chyrock, chyrka) is used in a very derogatory and racist way, and was used throughout Soviet history to differentiate between “loyal ethnic Slavs” and “rebellious, uncivilized non-Slavs.” The Soviet propaganda machine declared that “the Chechens are wild animals that will one day die in filth and poverty if the Red Army does not civilize them,” and in order to assimilate them to Soviet culture they had to be “emancipated from Islam and their barbarous traditions”… and forcefully deported. On the dawn of 23 February 1944, Stalinʼs Red Army received orders from Moscow to round up all the Vainakh (Chechen and Ingush) people and deport them to Central Asia in what it termed “Operation Lentil.” The forced transfer was ordered by NKVD chief Lavrentiy Beria and approved by Stalin. The order entailed the deportation of over 500,000 people and the complete annulment of the Chechen-Ingush Autonomous Soviet Socialist Republic. Hundreds of thousands of Chechens and Ingushes were killed during the round-ups and the transportation, or starved to death in the early years of exile. Survivors were not allowed to return to their lands until 1957. The European Parliament has declared this an act an of genocide committed by the Soviet Union. The arguments used to justify the transfer of the Chechen population in 1944 were the same as the ones brought forward to justify the ethnic cleansing of the Crimean Tatars. Among them was the argument that the Chechens, like the Crimean Tatars, were supposedly collaborating with Nazi Germany. This claim has since been refuted: 40ʼ000 Chechens and 25ʼ000 Crimean Tatars are documented as having fought in the Red Army against Nazi Germany. So it does not come as a surprise that the fate meted out by the Soviets to the Chechens—deportation and ethnic cleansing—would not be long in coming to the Crimean Tatars. 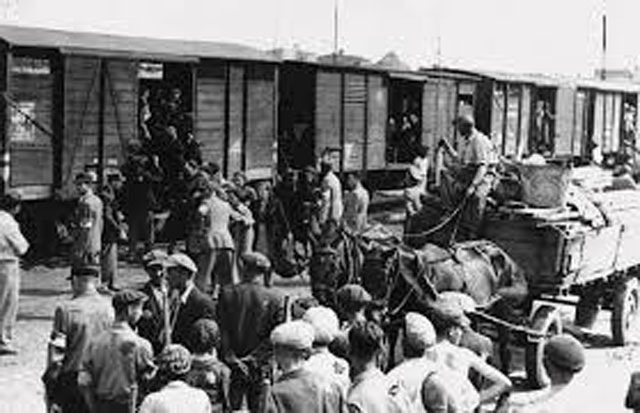 Indeed, it hit the entire Crimean Tatar people in one single day: on 18 May 1944 they were rounded up and deported, in 67 trains, to Central Asia. It is estimated that around half of the Crimean Tatar population died either during the round-up and transport or from malnutrition and starvation shortly thereafter. The Russian past includes countless other atrocities in the Caucasus, which can be said to have seen their apex under Stalin. In recent history, the two Chechen wars after the collapse of the Soviet Union serve as examples of just how deep Russian resentment of “blacks” really runs. There are therefore valuable lessons—for anyone, but especially for political activists on the “left” and anarchists— in looking at Crimea through the lens of Chechen history. So what happened in Chechnya between the fall of the Soviet Union and now? And how does it tie to Crimea? The similarities between the fates of these two peoples—the Chechens and the Crimean Tatars—as well as the Kremlinʼs tactics, rhetoric and attitude towards them, are frightening. There is one exception, however: Crimea has not been put through the horrific kind of war the Chechens had to go through. Letʼs hope it stays that way. One life lost to nationalism is one life too many. The commonalities do not stop there, speaking of referendums. In 2003, after two wars stretching over almost ten years and killing over 200,000 civilians, the Chechen Republic voted in a referendum to reintegrate Chechnya within Russia. According to the Chechen government, the referendum passed with 95.5% of the votes. That the referendum was held under anything but fair conditions lies close at hand: military threats at every doorstep, intimidation campaigns, no independent observers and fraudulent vote counts all served to guarantee the outcome of the referendum in favor of the Kremlinʼs interests and its puppet, Akhmad Kadyrov. Taking into account these facts—that the referendum was illegal according to the Ukrainian constitution, that it was subject to a massive intimidation campaign, and that no independent monitors were on the ground—it is questionable that such an event can be considered anything but a farce. As a reminder, many of the worst crimes in the Bosnian war were committed by Chetniks, such as the massacre in Srebrenica—atrocities we will never forget. It is therefore more than merely disturbing that, since mid-March 2014, Chetniks have been arriving in Crimea. A Serbian volunteer named Malisic is quoted on a Serbian newsportal saying: “During the wars in Yugoslavia, a lot of [Russian] volunteers fought on the Serbian side, so we, as their brothers, have decided to help them. That is why we are here.”¹⁹ And in a YouTube video (see below), a Serb fighter in a traditional fur hat and beard can be seen addressing a crowd of supporters in Crimea with the aid of a Russian translator, speaking of their common Slavic blood and Orthodox faith. Chetniks are driven both by anti-Western motivations and a nearly unparalleled hatred towards Muslims. There is an ongoing debate among the international radical Left on what constitutes solidarity and internationalism; on who to support and how, and who to condemn. I hear many claim, for example, that the Syrian Revolution is a Zionist/American conspiracy. Too often, it is these same people who see Ukraine only as the battleground (or “playground,” an even less tasteful word) of imperial forces, and call the Euromaidan an “instrumentalized” protest—thus delegitimizing the demands of, and material reasons for, the uprising. Ignoring for now how frustrating it is to see “leftists” fall for conspiracy theories or obtuse geopolitical analysis in the first place, I must note having observed a stubborn refusal to acknowledge any local sources which might contradict this kind of pet worldview—the evidence of this is particularly strong in the case of Syria, but increasingly also observable in Ukraine. Many seem unwilling to listen to members of the Russian opposition, who leave no doubts about the risks and dangers of Putinʼs aspirations. If we are unwilling to listen to revolutionaries on the ground, maybe we should shut up. To make it very clear: leftists and anarchists support neither dictators nor representatives of imperialist states. Instead, they work through the web of lies by researching, reaching out, and finding allies on the ground. Those allies are given by nature: marginalized groups, ethnic minorities, democratic and Left opposition, the working class. Our task in Ukraine is to amplify those voices that are suppressed by powerful propaganda machines. And further: to connect the struggles of the radical Left in Ukraine to the struggles of the radical Left opposition in Russia; to support marginalized groups and ethnic minorities; and to stress the unfortunate fact that it is these groups—along with the working class—that will be the main victims of military confrontation. Do we have what it takes to feel ashamed? Liberation always happens within context: you fight to free yourself from what is oppressing you. Language reflects that. If you are oppressed by military occupation or dictatorship, by religion or by the nation state, by sexual morals or by gender roles, this is reflected in the language you use. Western leftists and anarchists seem not to have much beyond economic oppression to liberate themselves from. Their liberal democracies guarantee, more or less, their physical safety; their essays and language reflect this position of comfort, often affording them a certain arrogance. But when did the Left stop being empathetic with real peopleʼs struggles? When did we stop researching and reading and truly connecting our struggles to struggles abroad? When did we become so arrogant and assume we know the answers before the questions are ever asked? I wonʼt hear it anymore. I canʼt listen to them anymore: people who call themselves internationalists, anarchists, marxists or political activists. People who may have gone through material precarity but have never experienced real physical insecurity; who have read them all—Bakunin, Marx, Rousseau—but have never had to run for their lives; who allow themselves shamelessly, and from a position of privilege, to judge and give advice—from afar—to brave women and men in the midst of a liberation struggle, and go even as far as to sneeringly delegitimize them. These people whose protests resemble, at worst, a cat and mouse game! Meanwhile, May Day celebrations in the West have become more of a sad commemoration; a day of remembrance for our movements which have regressed every year since Haymarket; striking symbols of our failure to achieve any significant social change. Donʼt they see it? Since 1848, what revolution are they chanting about on their streets? Now, finally, the world is shaking—but that shaking does not conform to dogmas, it does not follow the “rules” of those white, old, bearded men who wrote thick manuals and manifestos for these dogmatists to hide behind, shielding them from reality. A new dawn is at our doorsteps. A new dawn that puts empathy over ideology, that puts experience over opinion. I hear those calls for unity. What unity? The right of the privileged to denigrate the ones doing the dying? I am certainly not advocating for a deepening rift among our movements. I am calling for a deepening reflection on our privileged positions. But if we are unable or unwilling to reflect on this current situation, and if this means that some of us are incapable of overcoming our ideological puritanism, then may it be so; may it come to that split; may it be recognized that the rest of you no longer speak in the name of our current generation of revolutionary sisters and brothers. This rift will be between ideological puritanism and genuine solidarity, between dogmatism and empathy, and it will be a rift between a Western-centric worldview that has infiltrated and poisoned our movements, dominating and imposing its values on a new emerging horizontal sphere. For that reason it is a rift between the past and the future, between dusk and dawn. Podrabinek, A. (2014). Decline of Free Speech. [online] Available at: http://imrushttp://imrussia.org/en/politics/729-decline-of-free-speech [Accessed 7 May. 2014]. A Harsh Antifascist Confrontation Awaits Us. (2014). Tahrir ICN. [online] Available at:https://tahriricn.wordpress.com/2014/02/21/ukraine-a-harsh-antifascist-confrontation-awaits-us/ [Accessed 7 May. 2014]. Milne, S. (2001). Catastroika has not only been a disaster for Russia. [online] Available at:http://www.theguardian.com/world/2001/aug/16/russia.comment [Accessed 8 May. 2014]. Russia after Boris Yeltsin: Crocodile tears. (2007). [online] Available at: http://www.economist.com/node/9084431[Accessed 9 May. 2014]. Tarnoff, C. (2007). U.S. Assistance to the Former Soviet Union. [online] Available at:http://www.fas.org/sgp/crs/row/RL32866.pdf [Accessed 10 May. 2014]. Podrabinek, A. (2014). Amazing Sanctions. [online] Available at:http://www.rightsinrussia.info/advisory-council/advisory-committee/podrabinek-11 [Accessed 7 May. 2014]. Missenden, B. (2011). Gaddafi, the War on Libya and the Left. [online] Available at:http://londonprogressivejournal.com/article/814/gaddafi-the-war-on-libya-and-the-left [Accessed 10 May. 2014]. Baig, A. (2013). Why does the left find it so difficult to take a position on Syria?. [online] Available at:http://www.newstatesman.com/politics/2013/06/why-does-left-find-it-so-difficult-take-position-syria [Accessed 11 May. 2014]. Shekhovtsov, A. (2014). 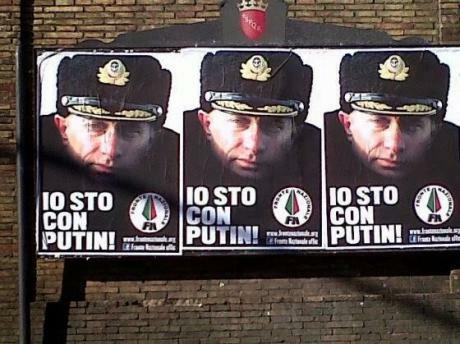 The Kremlin’s marriage of convenience with the European far right. [online] Available at:http://www.opendemocracy.net/od-russia/anton-shekhovtsov/kremlin%E2%80%99s-marriage-of-convenience-with-european-far-right [Accessed 5 May. 2014]. Memorial Human Rights Centre on disturbing parallels between the Crimea and Chechnya. (2014). [online] Available at:http://hro.rightsinrussia.info/hro-org/ukraine-13 [Accessed 10 May. 2014]. Problems of Residents of Crimea. (2014). [online] Available at:http://www.interpretermag.com/russia-this-week-poll-indicates-most-russians-dont-favor-annexation-but-many-yearn-for-soviet-re-union/ [Accessed 10 May. 2014]. Blakely Donaldson, D. (2014). Crimea Referendum: 34 Percent, Not 97 Percent, Says Former Russian Government Adviser. [online] Available at: http://guardianlv.com/2014/03/crimea-referendum-34-percent-not-97-percent-says-former-russian-government-adviser/ [Accessed 10 May. 2014]. Snyder, T. (2014). Far-Right Forces are Influencing Russia’s Actions in Crimea. [online] Available at:http://www.newrepublic.com/article/117048/crimean-referendum-was-electoral-farce [Accessed 12 May. 2014]. Джемилев: Путин заявил о незаконном выходе Украины из состава СССР Подробнее. (2014). [online] Available at:http://www.rosbalt.ru/ukraina/2014/03/12/1243344.html[Accessed 11 May. 2014]. Karp, P. (2014). Without Reciprocity. [online] Available at:http://www.rightsinrussia.info/archive/blog/poel-karp/without-reciprocity [Accessed 8 May. 2014]. Dzutsev, V. (2014). Official Grozny Fails to Mark 70th Anniversary of the Chechen Deportations. [online] Available at:http://www.jamestown.org/regions/thecaucasus/single/? tx_ttnews[tt_news]=42045&tx_ttnews[backPid] =639&cHash=5f1f3707f9ea96d5c95ed94a39d3e0af#.U3NL6C8ds7N [Accessed 11 May. 2014]. Crimean Tatars: Increasing Tensions Between Mejlis And De Facto Authorities. (2014). [online] Available at:http://www.unpo.org/article/17111#sthash.78jU59Wc.dpufhttp://www.unpo.org/article/ 17111 [Accessed 11 May. 2014]. Shuster, S. (2014). Meet the Cossack ‘Wolves’ Doing Russia’s Dirty Work in Ukraine. [online] Available at:http://time.com/95898/wolves-hundred-ukraine-russia-cossack/[Accessed 13 May. 2014]. Ristic, M. (2014). Serbian Fighters Help ‘Russian Brothers’ in Crimea. [online] Available at:http://www.balkaninsight.com/en/article/serbian-fighters-head-to-crimea [Accessed 12 May. 2014]. Posted on May 19, 2014, in Europe, Uncategorized and tagged Ukraine. Bookmark the permalink. 4 Comments. Analysis such as this is a sign that anarchists understand these issues much better than a Marxism afflicted with Stalinoid tendencies long after the tyrant’s death. I can only agree with the moral thrust of articles such as this. It is important to combat the recrudescence of (for lack of a better word, since the phenomenon is broader than this) “neo-Stalinism”, this time though, rubbing shoulders directly with conscious reactionaries of the most retrograde sort. 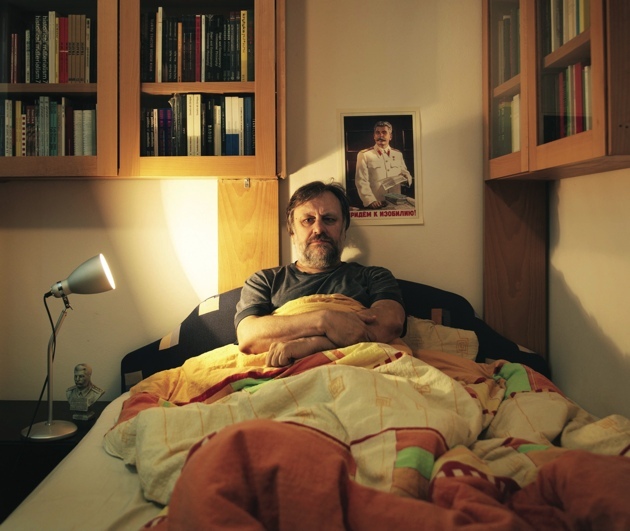 The photo of Zizek was particularly repulsive, especially considering his latest article on Ukraine, which was not bad for Zizek, except that he too ends it with a rejection of geo-political (and I would add, economic) analysis as (I paraphrase) “having nothing to do with liberatory projects”. Dovetailing therefore with the apparent thrust of this article, on the same question! Hence agreement here comes with a critical conditional: Is ALL geopolitical analysis “obtuse geopolitical analysis”? When is it not “obtuse”? IOW, what is the place of objective geo-political and economic analysis in a revolutionary movement? I have been raising this issue consistently for some time since it emerged with the Libyan and Syrian Arab Springs, and unfortunately the issue has become rather glaring with respect to Ukraine events. The issue is the general abandonment of ANY substantial perspective on US or EU imperialism. Attempts to raise a perspective on this in context are met with varying degrees of irritation or dismissal by those whose perspective is completely aligned with this article., At best it may be met with homilies about how we all agree that US/EU imperialism is of course “bad”, lets move on. Or that all imperialism are “the same” equally bad, which is false on its face. This silence has been particularly egregious with respect to Ukraine, “having observed a stubborn refusal to acknowledge”, or make substantial sense of, very clear evidence of direct intervention of US and EU imperialism, both over the long term and more immediately. US intervention in particular is intimately bound up with the role of the fascists, in creating an unintended stage for the fascists to act. In an aside, it must be pointed out that the fascists or far right alone did not “lead” Maidan; it is led by the *broad right*, from noeliberals/neocons all the way to the actual fascists forming a defacto, if unintended, bloc (because the fascist role IS an embarrassment to the US/EU imperialists, if not to Putin). I really, honestly don’t understand this attitude. My best explanation is that some do not want to “resemble” our troglodyte opponents, fear of mixing banners and so forth. These are legitimate practical political concerns – we DON’T want to mix our banners with them. But we won’t avoid doing so by abandoning geo-political analysis – to them! Instead, we need to appropriate such analysis FROM their control, and render it, precisely, non-obtuse, by converting it into a guide to show the way to a real concrete solidarity, beyond abstract moral stances, with the revolutions, uprisings and mass movements taking place outside our own countries. After all, how can we feel shame at our privileges, and at our own historic failures that have in fact left the Arab Spring and the people of Ukraine in the lurch, and at the same time, refuse to criticize, in concrete relation to events, the very imperialism that is the objective basis of those very same privileges and failures??? Pingback: Ukraine Between a Rock and a Hard Place – Is There a Way Out?